Jenkins senior 5-foot-9-inch guard Whitney Creech needs just 47 points to break Highlands Head Coach Jaime Walz-Richey's hallowed basketball record. Jenkins senior guard Whitney Creech scored 39 points, but Jenkins fell to Pikeville, 71-53. PHOTO: Allen Ramsey, DWCPhoto.com. Highlands senior Mitch Cain scored 12 points on Friday against Bellevue. 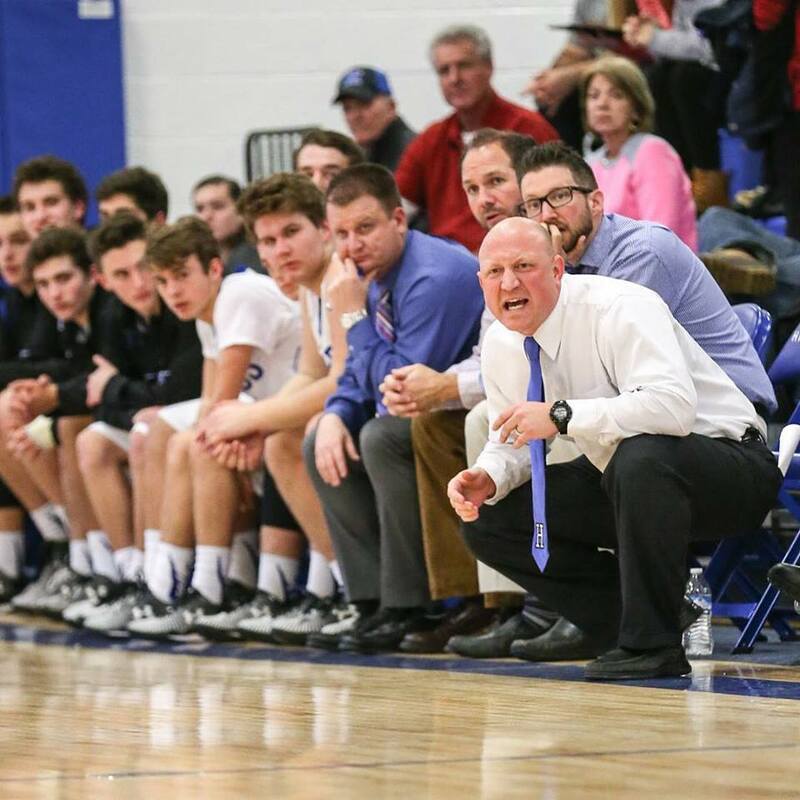 The coaching staff tried to heavily emphasize the importance of this game. PHOTO: Allen Ramsey, DWCPhoto.com. Highlands sophomore guard Jacob Noe takes a shot in the game at Newport Central Catholic on Tuesday. 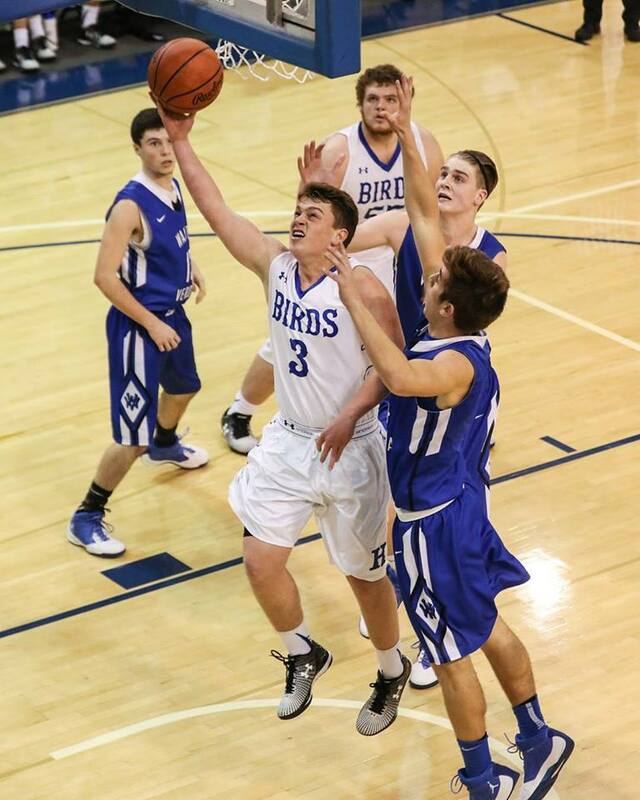 NEWPORT - The Highlands Bluebirds boys basketball team had been playing better lately with three straight wins. Jenkins senior 5-foot-9-inch guard Whitney Creech hit 4,800 points for her career against Magoffin County on Tuesday with 38 points. PHOTO: Allen Ramsey, DWCPhoto.com. Highlands junior Lauren Epperson (24) puts up a shot in a recent game. 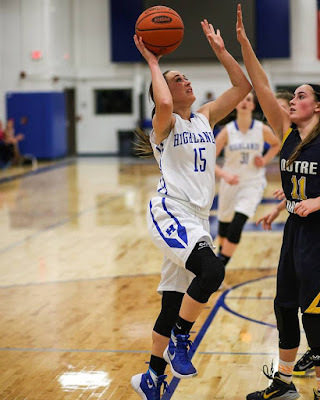 Epperson scored 12 to help Highlands to a 65-34 victory over St. Henry on Tuesday. 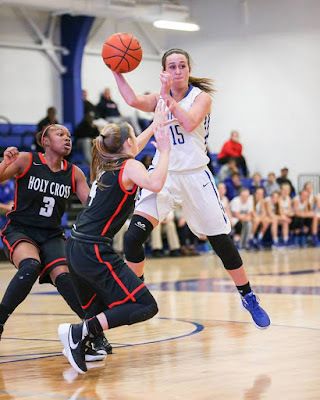 The Highlands Ladybirds snapped their first four-game losing streak since the 2006-07 season with a 65-34 victory over the St. Henry Lady Crusaders on Tuesday. PHOTO: Allen Ramsey, DWCPhoto.com. Highlands guard Haley Coffey (15) scored 17 points against Louisville Mercy on Saturday. But the Ladybirds lost 56-42 to the Jaguars. 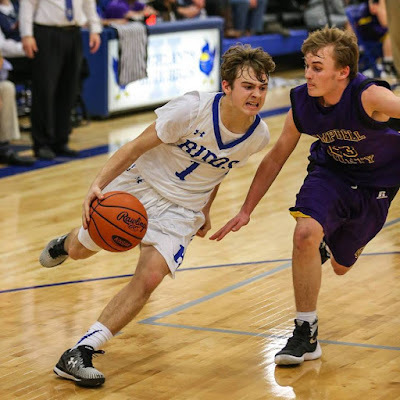 The Highlands Bluebirds basketball team (5-9 overall) extended its winning streak to three in a row with a 65-62 overtime home win over the Boone County Rebels on Saturday. 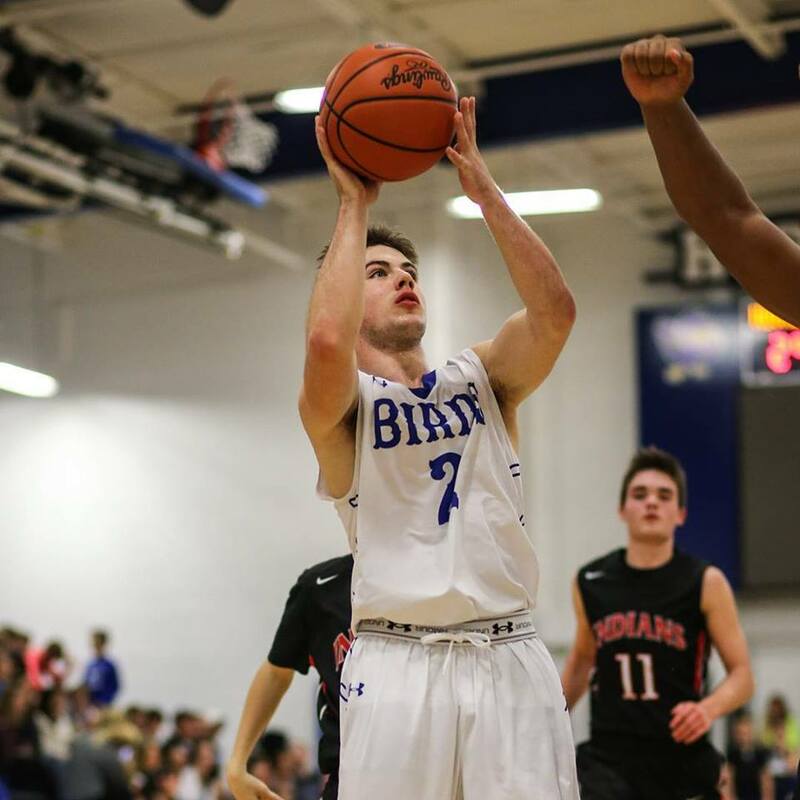 The Highlands Bluebirds basketball team (4-9 overall) was scheduled to take on the Dixie Heights Colonels (12-6) in 9th Region action Friday. But excessive snow forced the postponement back to Feb. 1 at 7:30 p.m. in Fort Thomas. PHOTO: Allen Ramsey, DWCPhoto.com. Highlands senior Izzy Schultz fires up a three-pointer in a recent game against Covington Holy Cross. The effort and intensity followed the Highlands Ladybirds basketball team on the bus ride to Maysville. PHOTO: Allen Ramsey, DWCPhoto.com. Highlands senior McKenzie Leigh (31) blocks a shot from Holy Cross senior forward Morgan Gabbard (15) Tuesday. The Highlands Ladybirds basketball team had not played in eight days. Whitney Creech scored 38 points in Monday's game to move to 4,778 career points. PHOTO: Allen Ramsey, DWCPhoto.com. 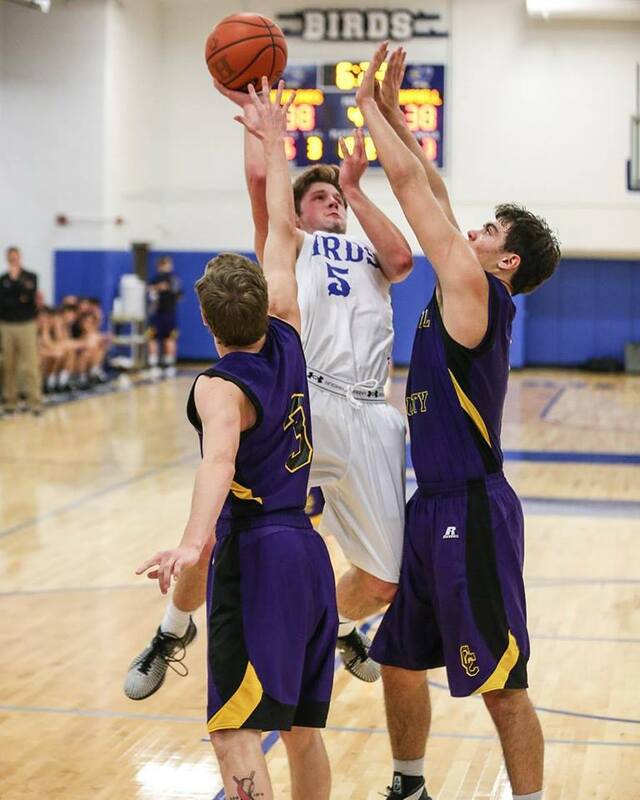 Highlands senior Mitch Cain (5) goes up between two defenders in a recent game. 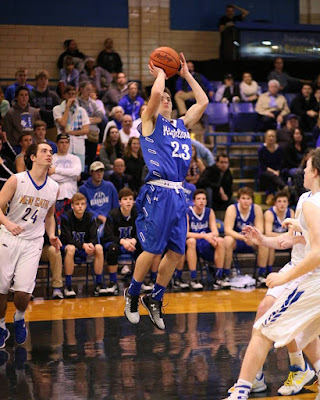 The Bluebirds beat Pendleton County, 73-67 Monday for their second straight win. The Highlands Bluebirds basketball team recorded its second straight victory with a 73-67 non-region home win over the Pendleton County Wildcats. PHOTO: Allen Ramsey, DWCPhoto.com. 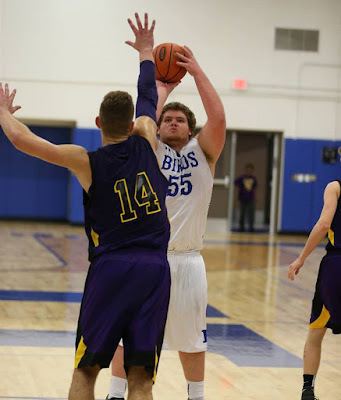 Highalnds senior Bo Hebel (55) puts up a shot in a recent game. Highlands defeated Dayton, 62-51 on Saturday to snap a seven-game losing streak. 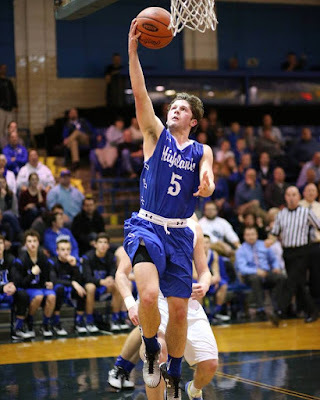 The Highlands Bluebirds basketball team snapped a seven-game losing streak with a 62-51 victory over the visiting Dayton Greendevils on Saturday in 36th District action. 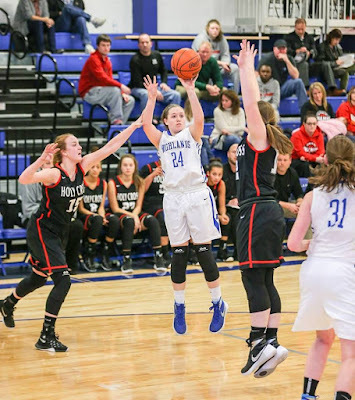 The Jenkins Lady Cavaliers received a tough draw in the 14th Region All "A" Tournament at Perry County Central. PHOTO: Allen Ramsey, DWCPhoto.com. Highlands sophomore Braden Posey drives to the hole in a recent game against Campbell County. The Highlands Bluebirds basketball team dropped its seventh straight, 59-47 to the visiting Ryle Raiders on Thursday. 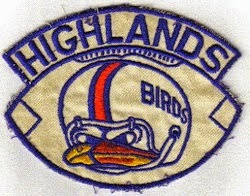 Highlands is 2-9 on the season. 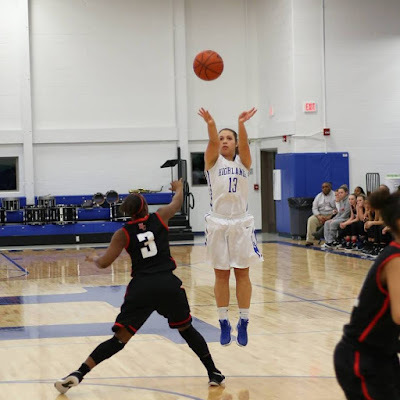 Whitney Creech is within 300 points of the career scoring record for both boys and girls in Kentucky high school basketball history. PHOTO: Allen Ramsey, DWCPhoto.com. Highlands Head Coach Kevin Listerman (right) shouts instructions during Tuesday's game against Campbell County. The Highlands Bluebirds boys basketball team (2-8 overall) dropped another tight game Tuesday at home. PHOTO: Allen Ramsey, DWCPhoto.com. Highlands senior Brianna Adler takes a shot in Monday's game at Covington Holmes. 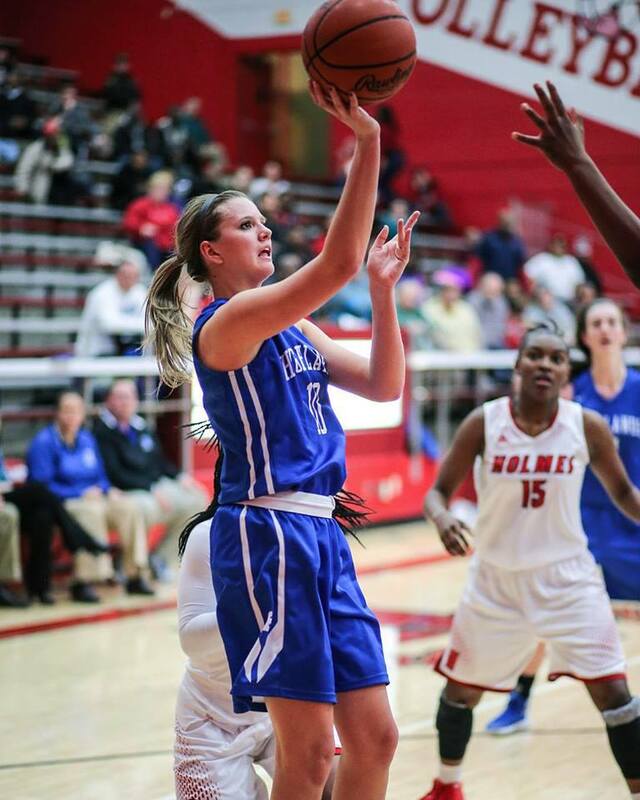 Adler scored 16 points, but Holmes rallied for a 58-53 victory. 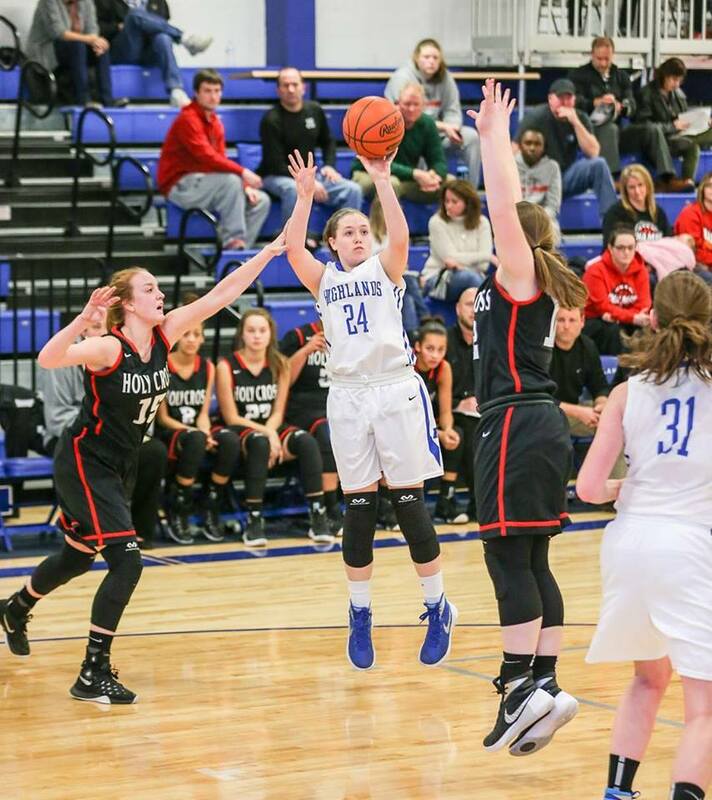 The Highlands Ladybirds basketball team held an eight-point lead at halftime in a crucial 9th Region road game Monday. PHOTO: Allen Ramsey, DWCPhoto.com. Highlands senior Nick Kendall goes up for a shot in a 9th Region game against Covington Holy Cross on Saturday. The Highlands Ladybirds basketball team (13-3 overall) ventured to Union and recorded a 68-62 9th Region victory over the Cooper Lady Jaguars (5-11). 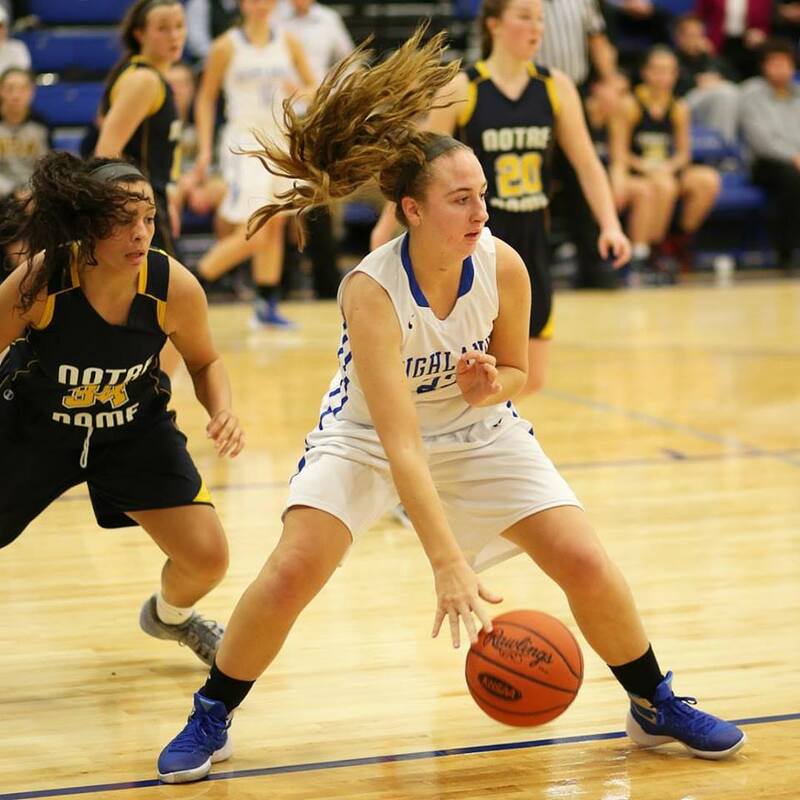 Jenkins senior point guard Whitney Creech scored 50 points in a crucial 64-44 victory over 53rd District and county rival Letcher County Central (4-11) on Friday. PHOTO: Allen Ramsey, DWCPhoto.com. Highlands senior Chandler New (3) goes up for a score in a recent game against Walton-Verona. The Bluebirds lost a close one at Newport on Thursday. NEWPORT - A huge 36th District victory just slipped out of their hands Thursday. PHOTO: Allen Ramsey, DWCPhoto.com. Highlands junior Kiersten Clukey (right) makes a move in Tuesday's game against Notre Dame. Highlands moved to 12-3 with a convincing win over Walton-Verona on Thursday. 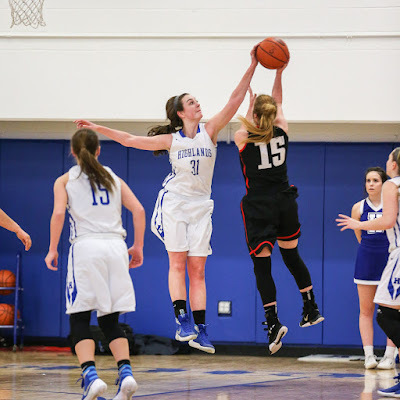 The Highlands Ladybirds basketball team took out its frustrations of Tuesday's loss to Notre Dame on the Walton-Verona Bearcats on Thursday. PHOTO: Allen Ramsey, DWCPhoto.com. Highlands senior Haley Coffey (15) goes in for a shot on Notre Dame's Sophie Hagen (11) in Tuesday's home game. Notre Dame won 46-38. They'd overcome the shooting struggles in the last two one-point victories. PHOTO: Allen Ramsey, DWCPhoto.com. Highlands freshman Zoie Barth drives on Newport Central Catholic's Alexis Pangallo in Saturday's game. 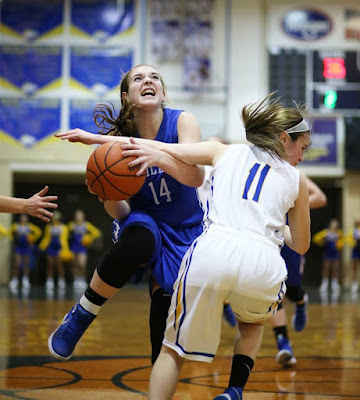 Highlands won 45-44 to nab the top seed in the 36th District Tournament later in the year. The shooting percentages probably felt worse than what they actually were.